Not long ago, Neil Patrick Harris was a TV has-been, a 90s footnote with more nostalgic cache than Hollywood clout. But thanks to hilarious turns in the Harold and Kumar movies, Joss Whedon’s Dr Horrible’s Sing-Along Blog and as Barney Stinson on CBS’ How I Met Your Mother, his Doogie Howser MD past has been long forgotten. Slowly but surely Neil Patrick Harris has become synonymous with comedic brilliance. Further proof that Neil Patrick Harris is ruler of all he surveys came on Wednesday when he received a third, slightly belated Emmy nod. 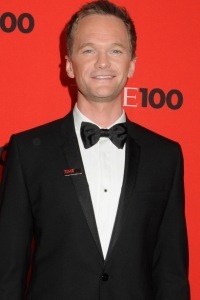 Neil Patrick Harris is a name that already appears twice on Emmy ballots. When the nominations were announced last month he was recognized for his continued stellar work on How I Met Your Mother and his ah-mah-zing guest spot on Glee (Dream On has never been sung so well. We would do anything to see Matthew Morrison and NPH put on Les Mis!). But his devoted fans weren’t satisfied with a measly two nods and set out to get NPH a third nomination for work that had been overlooked by the Academy of Television Arts and Sciences, the producers of the Tony Awards and Harris himself. It appears Neil Patrick Harris’ name was inadvertently left off the list of nominees for the newly knighted Best Special Class Program, the category that would honor his outstanding turn as the host of last year’s Tony Awards. Until last year, award show emcees had their own category, the Best Performance in a Variety Special, but those nominees are now being shoved under the Special Class Program umbrella, making for an overly crowded field and the possibility of glaring oversights like this one. But it wasn’t Harris’ team or his legion of Broadway fans that noticed the gaffe (speaking of gaffes, we love Neil but we’re still trying to forgive him for casting Vanessa “I Can’t Find the Note or the Melody” Hudgens in Rent at the Hollywood Bowl. Our ears almost started bleeding!). The discovery was made by a random writer at the Los Angeles Times. Working on what they saw as a scoop, the writer contacted the concerned parties for a comment on the slight and ended up getting NPH officially added to the Emmy ballot, albeit a little belatedly. If Neil takes home that prize, that writer better be the first person he thanks! The Emmy Awards will be broadcast on NBC Sunday, August 29.